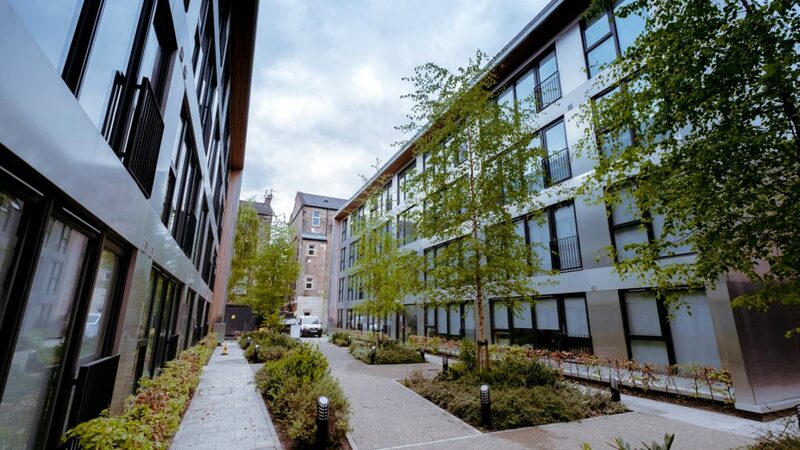 The success of Glasgow’s Universities and Further Education Colleges has fuelled an ongoing demand for quality student accommodation in the city. This site on West Princess Street in Glasgow’s West End was ideally suited to be converted to use as student accommodation. The existing buildings on the site comprised of a Victorian, listed, 4 storey red sandstone ‘traditional’ building on the street, with a steel framed hall behind, linked by a series of single storey buildings. An interesting aspect of this project was the previous uses of the buildings on the site; originally built as a territorial army drill hall and subsequently converted for use as a ballet school. 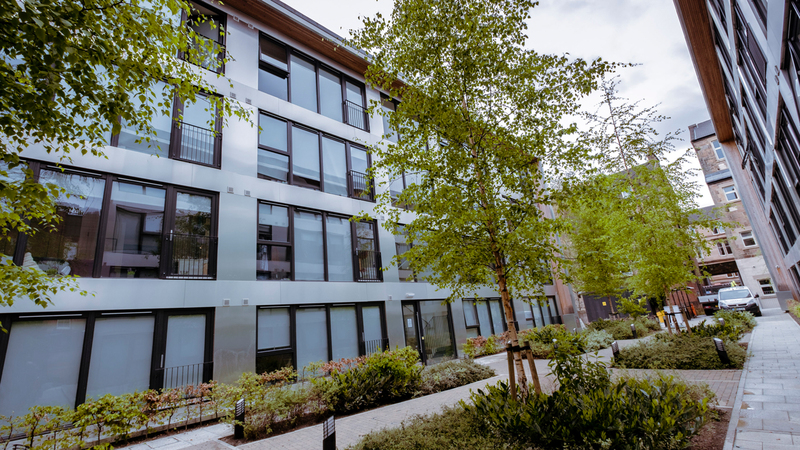 Woolgar Hunter were commissioned to provide Civil and Structural Engineering design services on the development, alongside Elder and Cannon Architects. The project involved the redevelopment of the listed Victorian building, along with the demolition of the existing drill hall building, to create a site for the construction of two, new build, 4 storey residences blocks. Given the dense surrounding residential area, the new buildings had to be designed sensitively to achieve Planning Permission. The site had very limited access and therefore construction logistics was also a key consideration in the development of the design. 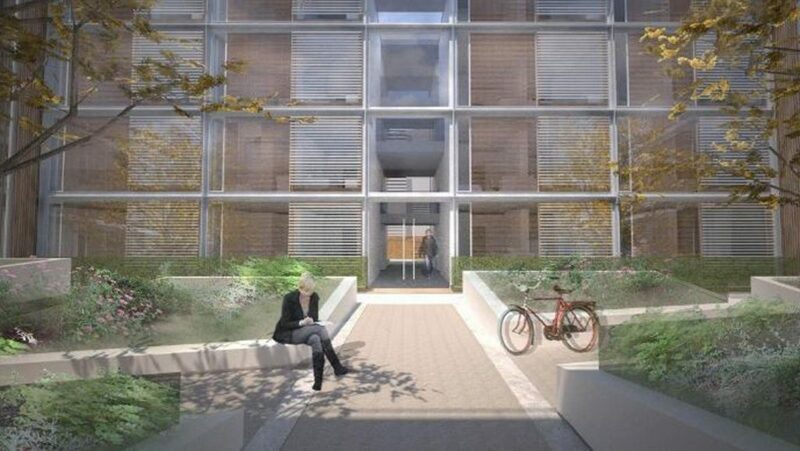 After investigation of various potential options, including a fully modular system, a timber framed solution was adopted for the new build elements. Logistically this allowed manageably dimensioned prefabricated panels to be delivered and erected by mobile crane within the tight site. A SuDS drainage system attenuating the surface water was also accommodated in the courtyard spaces. The conversion of the existing building required a careful assessment of the existing structural capacity and investigation into the building condition, allowing a sensitive refurbishment to be carried out.